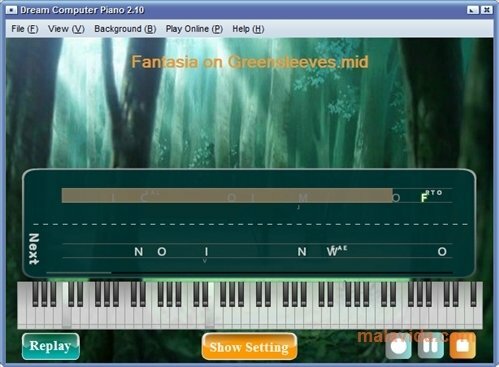 The piano is one of the most difficult instruments to learn how to play, because you have to learn to combine the movement of the fingers, the hands and the feet to be able to play it properly. 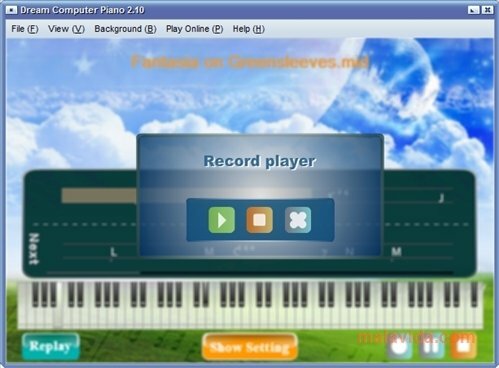 Now thanks to Dream Computer Piano we can play any song in MIDI format with our computer's keyboard, transforming our computer into a music instrument. 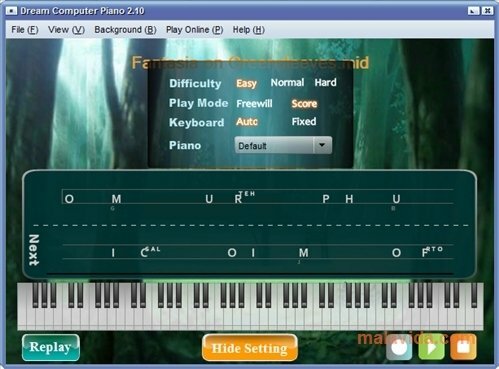 Using a letter system (mixing something halfway between Guitar Hero and a typing application) we can quickly learn to play our favorite songs, as long as we have the MIDI files that correspond to theses songs. There are three learning levels to choose from, with which we can improve our piano technique and as we progress we can add accompaniment sound or secondary piano feeds. 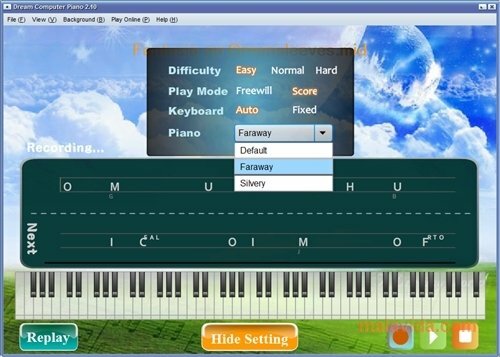 We'll also be able to customize the interface to our own liking with images and assigning the size that we want. 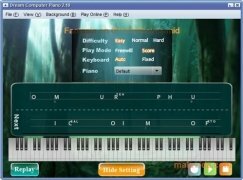 Dream Computer Piano will be a real treat to music lovers that want to learn how to play their favorite scores without having to learn how to play any instrument.